37% of the 7,571 farm who died on the job between 1992 and 2005 were involved in tractor accidents, according to the U.S. Centers for Disease Control and Prevention. 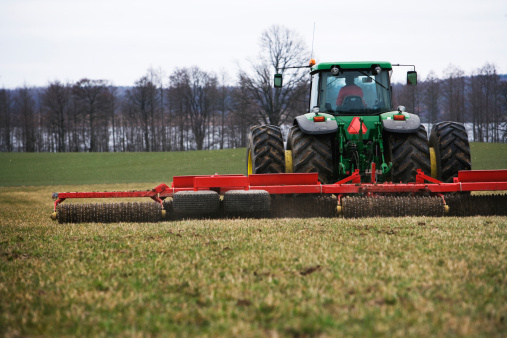 A staggering 93,000 farm suffered non-fatal, on-the-job injuries between 1997 and 2005, 12% of which occurred as a result of working with farm equipment. Many such deaths and injuries could be prevented if manufacturers designed safe farm equipment and included safety warnings on equipment. Instead, tractors, hay balers, grain augers, skid steer loaders, corn pickers, combines and brush hog mowers continue to cause thousands of deaths and injuries annually. Click here for more farm worker injury statistics. Yet corporations continue to manufacture equipment that fails to adequately protect you, and thousands of you die or are injured every year. No matter what state you live in, what your work status is, or what your nationality is, help is available. For a free and totally confidential consultation, contact the Farm Injury Resource Center. Let us help you win the compensation you deserve.